Al Capone vector illustration to bring back Chicago's heyday of crime. 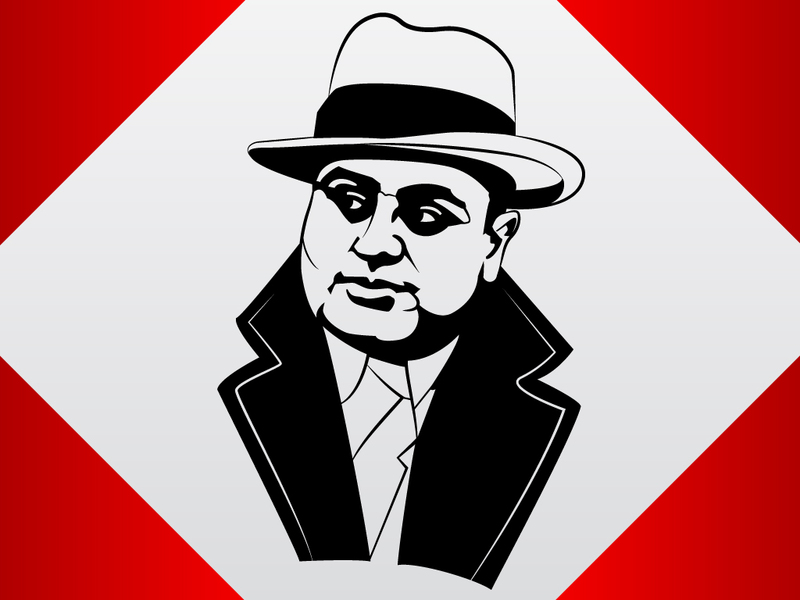 Vector clip art of the notorious prohibition era gangster Al Capone. One color design on a red and light gray framed vector backdrop. Cut and paste into your digital art designs or add copy and graphics for a mafia and crime themed creation. Free download zip file comes with AI, PDF and hi-res JPEG formats. Tags: Al Capone, Criminal, Gangster, Godfather, Mafia, Organized Crime.